The old boy Don Poli keeps on fighting and scrapping away, but it appears his best days are now certainly behind him. Now at the grand old age of ten, he has been considered a veteran for a while, having won the Martin Pipe, the RSA Chase and placing in the Gold Cup at the Cheltenham Festival in his earlier days. Pulled up on his last two outings, the handicapper remains firmly in control. Had a season to remember last term, notching up a hat-trick mid season with wins here at Punchestown in a Beginners Chase, in a Grade A Handicap at Gowran, before stepping up to Grade Two level at Navan. Was all too much in the Irish Grand National last term but he would of been better suited by brighter conditions, yet he even rallied late in that incredible Champion Novice Chase here back in April to finish second. Leading contender with bags of ability. Third successive horse at the top of the weights for both Gordon Elliott and Gigginstown, Dounikos though will be looking to respond after he fell in the closing stages of this year's Goffs Thyestes Handicap Chase. Finished a couple of races in November and December tailed off - which was good for him seeing as he had pulled up in his last three - including at Cheltenham. Fell at the 8th fence in the Goffs Thyestes Handicap Chase last time out when very well fancied before the off. That would probably be due to his 'neck' success in a Grade Two here back in November, where he got the better of Cheltenham Festival winner Blow By Blow. Beaten favourite at Cork in December when well backed, and is yet to win this season - albeit two of his three attempts have come back over hurdles. Will relish that return to the larger obstacles and showed some good form last term with three wins in a row in the spring - most notably in a Grade Two at Limerick. Jack Kennedy chooses to side with last year's winner of the Irish Grand National, in a bid to get his claims for this year's renewal back on track. Had a frustrating time of it since climbing the weights and is gradually on the way back down. Finished at the one pace behind Invitation Only in that race at Gowran Park, but he is just stepping into his season. Required the run at Gowran last month when pulling up after a mistake four from the finish - the usual way he starts any season. In fact, that is exactly the same outcome as to what he did in that race last season, before he went onto race three more times and finish second in all of them - including being robbed of the Irish Grand National by General Principle. Another one of those second's was in this very trial twelve months ago, and will likely be amongst the market contenders vying for favouritism. 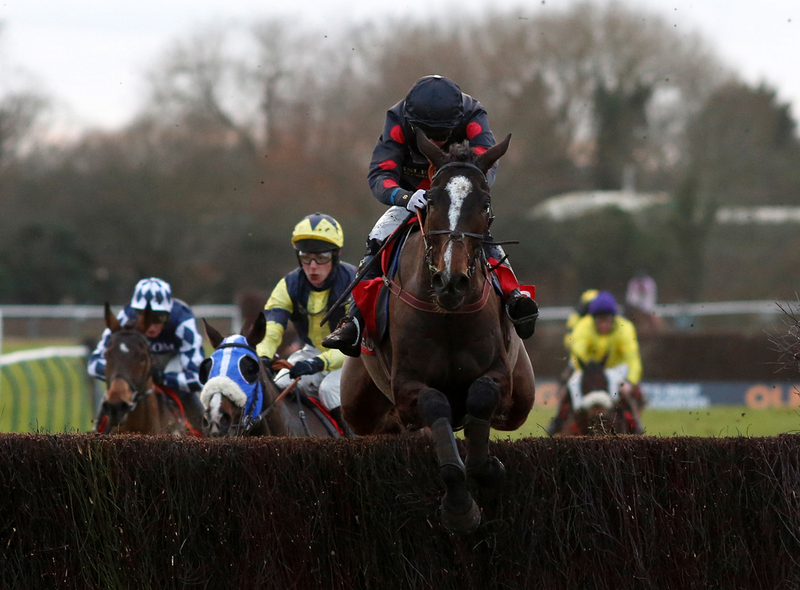 One of the more less experienced horses in the field over fences, now well into his second season as a chaser. Began this campaign with a win at Galway back in October before finding no luck in big runner fields at both Navan and Leopardstown. That seems to be the trend, and the return to hurdles last month did not relocate any of that ability either. Another with ground to find and lengths to make up, after his poor effort in the Paddy Power Chase over Christmas. His sixth in the Irish Grand National last year speaks volumes and cannot be ignored. This gelding is also now off more or less that same mark again, so could be in with an outside chance. Interesting if managing a repeat. A decent horse in Britain for Neil Mulholland - a winner of several nice valuable races, makes his third start for Henry De Bromhead. Long way behind in his two most recent starts over fences, having scored stylishly at Listowel back in September in a Beginners Chase. That saw him get off the mark over the larger obstacles at the third time of asking, but found it hard stepping to fields where it really matters. Chance to prove himself here for a top yard. Halfway down the field in the Troytown Handicap Chase at Navan when last season towards the back end of last season. Poses good form at this track in his earlier days, but work to do on his recent displays. Has not won a race in over two years, and could be one to draw a line through with not enough attractive qualities. Another for O'Brien in the iconic maroon colours of Gigginstown, with Wishmoor still posing a fairly low mileage. Can use that to good effect here despite a poor outing when switched to hurdles last time in a bid to bolster improvement. Before that he was halfway down the field in the Tim Duggan Memorial Handicap Chase, and could be one to consider over a new distance over the best part of three-and-a-half miles. Hanlon has acquired the services of young upcoming jockey Sean Bowen, who gets on board in place of Danny Mullins. Scored on New Year's Day at Fairyhouse enjoying every yard of the running, in front of Se Mo Laoch who franked the form two weeks later here in a similar contest but for amateur riders. Completely unexposed, and could be one of the dark horses to fear in the field. Second in a novice chase at the Irish National venue a month ago, and the layoff should support his claims ahead of this fierce test of stamina. Still very new to the chasing scene, and showed some very smart form over timber at times. Another unexposed, and could be in with a shot. The two Dempsey's combine for the bottom one - Dinnie's Vinnie, who faces a jump up in class and distance. That being said, he did win over all of 3m5f at Fairyhouse before Christmas, and continued to extend his advantage up the run-in. Travelled well and jumped fluently, will look to hit the front again to beat them off that way.